Red Dot Foundation is registered as a Sec 8 Not For Profit company in India. They work at the intersection of technology, gender, communications, data and urban planning. Safecity is one of the first initiatives. Safecity is a platform that crowdsources personal stories of sexual harassment and abuse in public spaces. This data which maybe anonymous, gets aggregated as hot spots on a map indicating trends at a local level. The idea is to make this data useful for individuals, local communities and local administration to identify factors that causes behaviour that leads to violence and work on strategies for solutions. Since the launch on 26 Dec 2012 they have collected over 11,000 stories from over 50 cities in India and directly reached over 500,000 people. Safecity aims to make cities safer by encouraging equal access to public spaces for everyone especially women, through the use of crowdsourced data, community engagement and institutional accountability. They are creating a new data set which currently does not exist. Perception of the police's insensitivity as well as cultural backlash deters people from reporting. They feel more comfortable using the platform and this is seen by reports from over 20 years ago. By representing the information thus collected on a map as hotspots, they are moving the focus away from the "victim" to the location and people can view the issue with a different lens. Today they make choices for pretty much everything based on reviews - books, movies, restaurants, hotels but they have nothing for personal safety. 1. Crowdmap - Sharing of stories anonymously, aggregation of trends, notifications and alerts and offering solidarity through the comments section allows people to understand the "safety" landscape of an area and make the most informed decision for themselves. e.g. They can decide on time of visit, method of transport to use, if they need to be accompanied by someone or even what clothes to wear. 2. Missed call for those with no internet access in India. They can give a missed call +91 9015 510 510 and the team calls them back for their story. 3. Safecity Mobile App is available on the Google App Store and Apple App Store in English, Hindi and Spanish. 4. Workshops on Sexual Violence Awareness for children, teachers and parents, college youth on campuses, communities and for corporates. * Police in Mumbai and Delhi changed their beat patrol timings and increased vigilence. * Municipal authorities and elected representatives in Delhi assured the community that clean toilets would be made available. * Transportation authorities issued “women only” bus licences in Kathmandu. * Police in Mumbai, Delhi and Goa are accepting monthly trend reports of Safecity data. * Integrated the child sexual abuse awareness program into the Delhi police’s Parivartan school program. * Leadership development amongst young women and men to enable gender equality, prevention of VAW and gender equal spaces. * Over 20,000 people have attended the awareness workshops on sexual violence and Know your legal rights. * They have been partnering with NGOs in 12 neighbourhoods in Delhi, Mumbai, Pune, Patna and Ahmedabad. They have hosted sessions and spoken in the past at Habitat III in Quito, preparatory meetings at Surabaya, Nairobi and Delhi in 2016 as well as at the World Urban Forum in Malaysia this year. This year they are pleased to be hosting the Urban Thinkers Campus on Creating a Resilient and Inclusive City in Mumbai on 21 and 22 June 2018. This event is also part sponsored by the Swedish Institute, post the Stockholm Gender Equality Forum and is in partnership with Developmatrix, The Urban Vision, ISDI, The US Consulate Mumbai and the BMW Foundation. The topic of “Creating a Resilient and Inclusive Mumbai” is to discuss the different challenges in the city, women, children and other vulnerable/minority groups face in living a quality life and in exercising their fundamental rights. They would like to deliberate on the same, so that they can collectively come up with an action plan that is hyper-local, community driven, practical and implementable. 1. How can cities be better designed for women and children? 2. How can they build resilience and inclusion in a city? These will be followed by 8 innovation labs on the following topics which will be led by expert organisations and facilitated by a design thinking expert. The participants will be asked to deliberate and come up with action points to a problem statement posed by the lead organisation. idea is to encourage youth to be agents of change and find local solutions that they can implement in their own community. These sessions are co-created with several organisations and is reflective of the spirit of the UTC. Following these 2 days, they will ask youth from 18-22 years to formally apply to the Youth Innovation Design challenge, where 10 best ideas will be selected for mentoring and incubation. Over a four month period they will be taking them through various sessions to build capacity, introduce them to further innovations and help them crystallise their ideas better. They will pitch their final working prototypes on 14 December at Dosti House at the US Consulate. They are extremely thrilled with the response and also willingness of organisations to test some of the ideas that come up. For example, UNDP India is willing to mentor women led ideas for the Government of Maharashtra’s Start Mission. 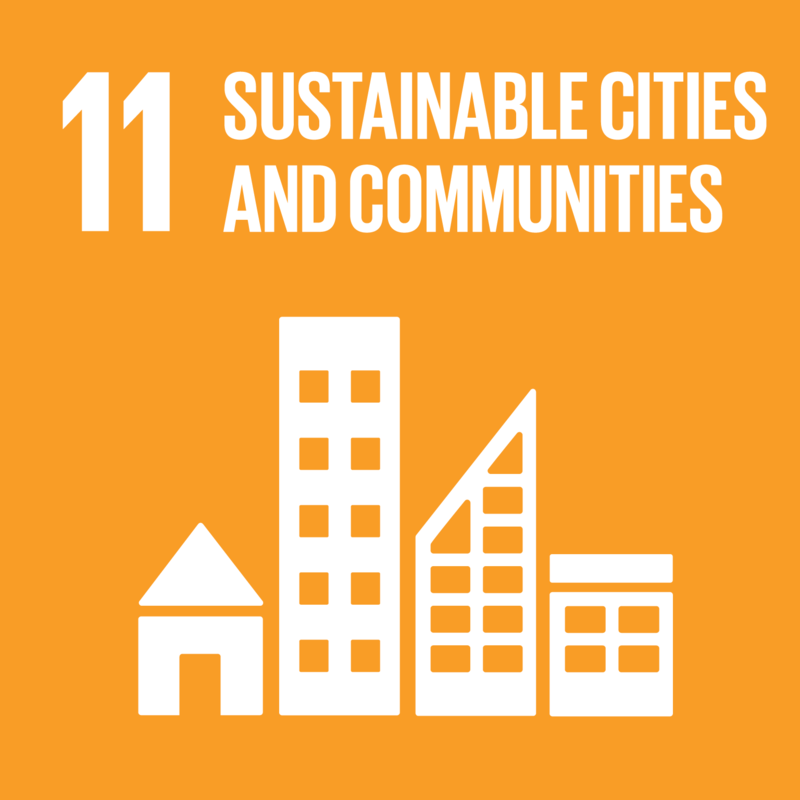 All action points and suggestions from the 21, 22 June and the social incubator will be captured in a white paper and published on the website of the UN Habitat as well as presented to the relevant stakeholders in January 2019.